Cigarettes are an increasingly gendered health risk in China, according to a new study that reports 68% of Chinese men smoke, compared to just 3.2% of women. The study of male and female smoking trends, published in medical journal The Lancet on Oct. 8, doesn’t mince words when it comes to health risks. 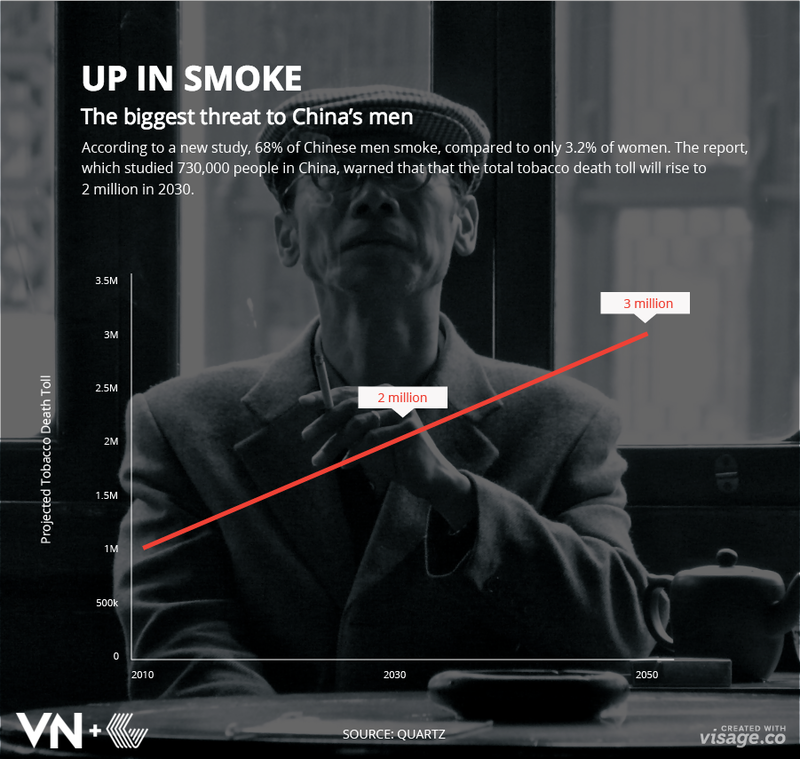 The authors conclude that smoking will cause roughly one in five adult male deaths in China during the current decade. And the fatality rate will rise steadily without preventative action. The report, which studied a total of 730,000 people in China, warned that tobacco caused about one million deaths in 2010. Unless smokers give up the habit en masse, the death toll will rise to two million in 2030 and three million in 2050.